Price, finish, and lead times may vary and may not reflect the image shown. Please request quote for final price and specific details. 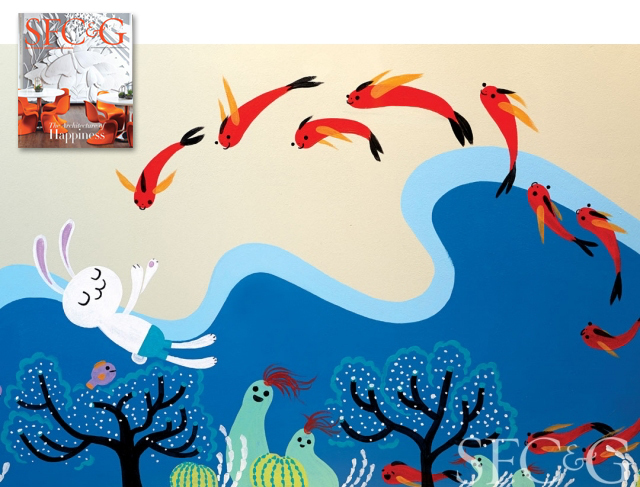 DH Showroom Featured in SFC&G! 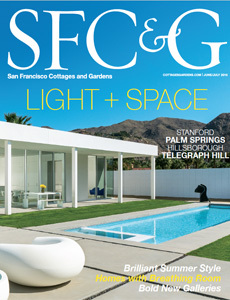 We are pleased to announce that our newly redesigned de sousa hughes showroom is featured as a project of note in the June/July issue of San Francisco Cottages and Gardens. Master glass blower, lighting and furniture designer John Pomp embraces the concept of wabi-sabi. The Japanese aesthetic values what is ephemeral and imperfect. 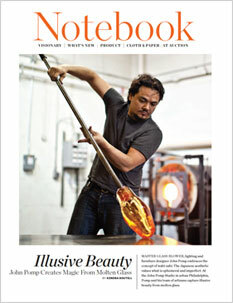 At the John Pomp Studio in urban Philadelphia, Pomp and his team of artisans capture illusive beauty from molten glass. 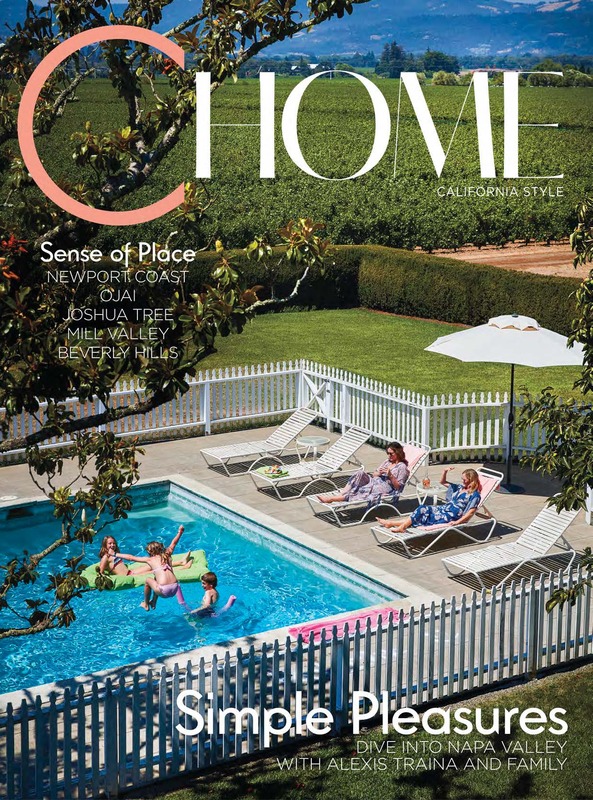 Read the entire article in California Homes Magazine. Designers of Distinction - the SFDC Awards of Excellence for Bay Area designers was held during Design San Francisco 2013. 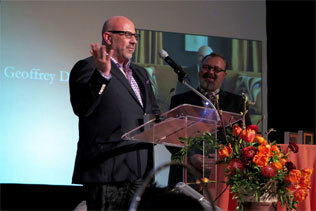 The sold out event featured over 200 top local designers who were nominated by the SFDC showrooms. Winners were announced at the awards gala luncheon and our very own Geoffrey De Sousa was the winner of the Residential Contemporary category. Congratulations Geoffrey! 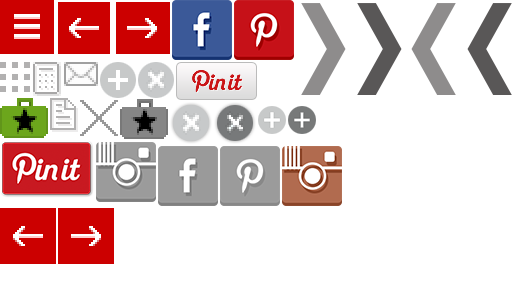 "We believe our common purpose is to inspire, create, and satisfy the soul of design. It's the standard we use for how we hire people, how we work within our organization, how we choose new manufactures to represent, how we serve our clients. Our intention is to take these ideas to another level..."
Geoffrey De Sousa and Erik Hughes are the joint Creative Directors of De Sousa Hughes. De Sousa Hughes is both a source for professional interior designers seeking contemporary innovative home furnishings within a design showroom, and an interior design firm creating exceptional spaces. Within the 27,000 sq ft De Sousa Hughes showroom, we show over 45 companies specializing in furniture, textiles, lighting, art, and accessories from around the world, These lines are considered today's most sought after custom boutique lines within the interior design community. Our selection of these lines and our unique style in display has allowed De Sousa Hughes to become a major resource for the design professional. Outside Sales — Available in Northern California, Northern Nevada and Hawaii. Please call the showroom to set up an appointment.